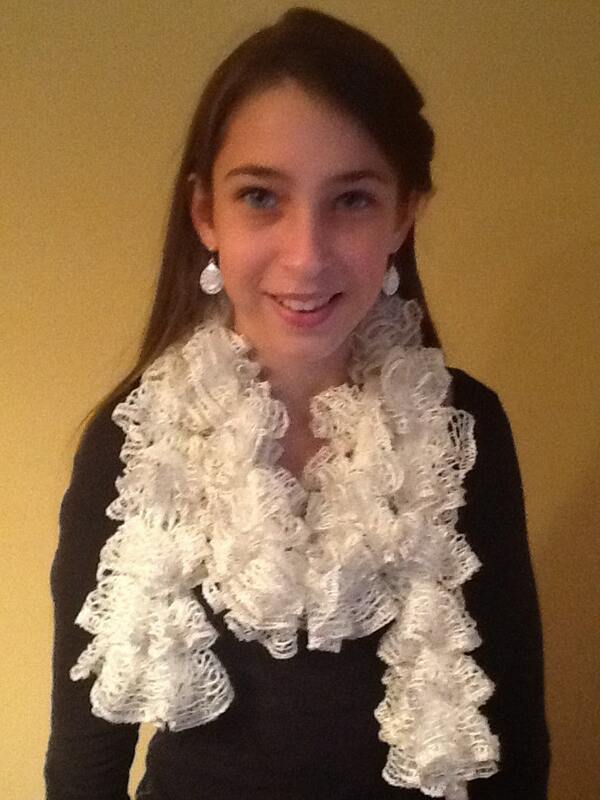 Handmade Ruffle Scarf, with sparkle on the edges. The scarf is soft, and beautiful! Great for holiday gifts.